Wilson College President Dr. Barbara K. Mistick will step down from her post after the end of the 2018-19 academic year, as announced in a letter to the college community today. Dr. Mistick became Wilson’s 19th president in 2011. She is the architect of the Wilson Today plan, which refocused the College’s growth strategy. 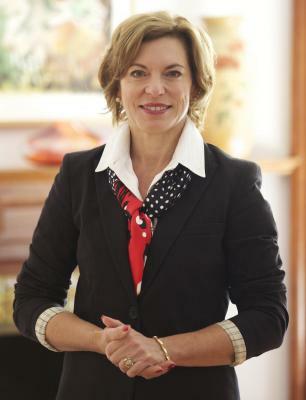 Under her vision and leadership, the College has experienced record student enrollment by reducing tuition and creating a first-of-its-kind student loan buyback program, added academic programs in nursing and other areas of demand, addressed infrastructure and future facilities needs, improved the institution’s marketing and brought coeducation to all areas of the College. Dr. Mistick will join the National Association of Independent Colleges and Universities (NAICU) in September as president. With more than 1,000 colleges, universities and associations as members, NAICU is the largest organization representing independent, nonprofit colleges and universities on federal issues. The organization is based in Washington, D.C., and advocates on behalf of its member institutions; provides analysis, insight and guidance on legislation, regulations and policy developments; and devises collective strategies among key stakeholders. As president, Dr. Mistick will serve as ex officio member of the board, officer of the board and CEO of the association. Dr. Mistick will be the fourth president in NAICU’s 42-year history. The Wilson College Board of Trustees has appointed a committee to conduct a national search for the next president. As is customary, the greater college community─including faculty, staff, students and alumni─will be a part of that process. Prior to her appointment at Wilson, Dr. Mistick was president of the Carnegie Library of Pittsburgh, where she provided strategic leadership and operational oversight of a library system that serves approximately 1.2 million people and includes 19 neighborhood library locations. Over the course of her 30-year career, Dr. Mistick has been an entrepreneur, educator and leader at institutions such as the H.J. Heinz School of Public Policy and Management at Carnegie Mellon University in Pittsburgh and the National Education Center for Women in Business at Seton Hill University in Greensburg, as well as at various businesses she managed and/or founded. Her book, Stretch: How to Future-Proof Yourself for Tomorrow’s Workplace, was designated as an Amazon Editor’s Pick and ranked #12 on the 800-CEO-READ’s Best Seller list.